Light Up The Hills Rally – Fellowship of Motorcycle Ministries Christian Motorcycle Rally at the Buffalo Chip Campground near Sturgis, S.D. Free Registration is compliments of all who support Fellowship of Motorcycle Ministries, a 501c3 Charity. You MUST register for free entry into the Buffalo Chip. Remember to select your camping options if you plan to stay at the Buffalo Chip Campground. Check out the register page for local service and lodging discounts available to rally attendees. Please click Register Now button and fill out the registration form. Please donate if you feel led to add your contribution. CHECK OUT BUFFALO CHIP TENT CAMPING, CABIN & RV SITE OPTIONS AVAILABLE WHEN YOU REGISTER! What is the Light Up The Hills Rally? The Light Up The Hills Rally is a Holy Convocation (Leviticus 23:24-25), calling Christian motorcycle ministries, riders and all who answer the call of Christ to worship, to praise and to hear from our Lord. All who attend will not leave as they came, but with a renewed commitment to impact our homes, our communities and our nation for the cause of Christ. Headquartered at the famous Buffalo Chip Campground, the Light Up The Hills Rally is held each year in July near Sturgis, South Dakota. This rally will lead a nationwide, 2 Chronicles 7:14 revival through the 6.5 million Christian bikers in the U.S., using the blessing of motorcycle riding to serve God’s purpose and witness to lost souls with a kindred spirit. Be there for three evenings of Christian speakers, entertainers and fellowship. The Light Up The Hills Rally offers Christian bikers an opportunity to ride in one of the most famous and scenic areas of the United States, the Black Hills of South Dakota. With the iconic City of Sturgis as a starting point, there are hundreds of miles of twisting roads leading to a wide variety of destinations such as Mt Rushmore, Custer State Park, Spearfish Canyon, Devil’s Tower and many other famous points of interest. The Light Up The Hills Rally agenda provides daily Christian worship and entertainment events, as well as plenty of time to enjoy rides on routes identified by skill level and scenic experience. 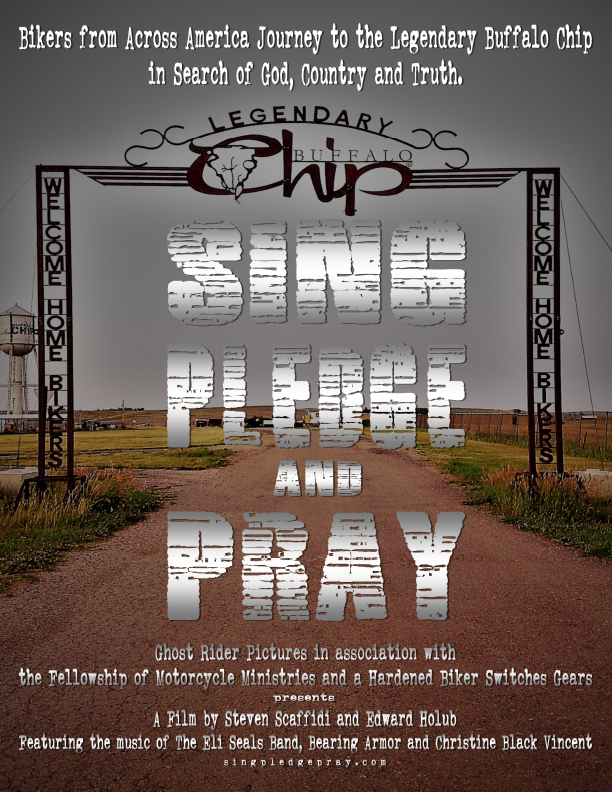 Rally attendees can ride on their own or with Christian Motorcycle Groups to experience fellowship and worship the Creator of all the wonders in the Black Hills of South Dakota. “Sing Pledge & Pray” is now available for screening events across America. Movie Theaters – Churches – Schools – Auditoriums – Community Centers and more! Screening events can take place in a variety of locations. We have established relationships with top movie theater groups and independent theaters in most cities across America. You can also host a screening event in a location of your choice (churches, schools, civic centers, auditoriums, etc.). We will walk you through the process to help you set up a great event. Best of all, there’s no out of pocket cost to you when you follow our step by step plan for your screening! 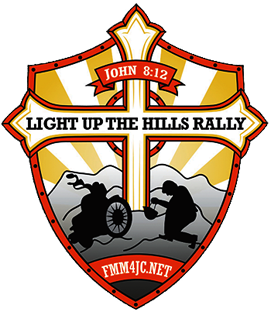 Fellowship of Motorcycle Ministries wants you to make the Light Up The Hills Rally an experience to remember, and one you will want to attend annually. If you have any questions about the event, please send us an email, and we will answer your question as promptly as possible.